Rebekah Brooks and Andy Coulson, along with six others, are to face a total of 19 charges relating to phone hacking, the Crown Prosecution Service (CPS) has announced. All eight are charged with conspiring to intercept communications between 3 October 2000 and 9 August 2006. The CPS said that Brooks, the former chief executive of News International, is to face two charges, one of which relates to the alleged hacking of voicemails of murdered schoolgirl Milly Dowler. Coulson, former editor of the now defunct News of the World newspaper, is also charged with accessing the phone of Dowler, along with three other charges. The police launched an investigation after details emerged of phone hacking at the newspaper last year. 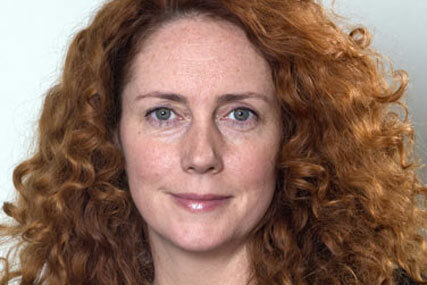 The eight who will be charged are: Rebekah Brooks; Andrew Coulson; Stuart Kuttner; Glenn Mulcaire; Greg Miskiw; Ian Edmondson; Neville Thurlbeck, and James Weatherup. They will face a total of 19 charges in all. All, with the exception of Glenn Mulcaire, will be charged with conspiring to intercept communications without lawful authority, from 3 October 2000 to 9 August 2006. The communications in question are the voicemail messages of well-known people and / or those associated with them. There is a schedule containing the names of over 600 people whom the prosecution will say are the victims of this offence. "I am not guilty of these charges. I did not authorise, nor was I aware of, phone hacking under my editorship. I am distressed and angry that the CPS have reached this decision when they knew all the facts and were in a position to stop the case at this stage. "The charge concerning Milly Dowler is particularly upsetting not only as it is untrue but also because I have spent my journalistic career campaigning for victims of crime. I will vigorously defend these allegations."